Vanderpump Rules‘ Scheana Marie and Michael Shay’s marriage has definitely not been without its ups and downs. And now, new rumors at the start of the show’s fifth season are saying that the two are separated, and their marriage is “beyond repair,” according to one source. While Scheana and Shay seemed to have the most stable relationship on the show by miles leading up to their fairy tale wedding on Lisa Vanderpump’s Villa Rosa estate, Season 4 revealed that there were issues that both of them hid from the show — and their friends. More: VPR‘s Jax Taylor teases that he & Bethenny Frankel ‘kissed a little bit’ — what? 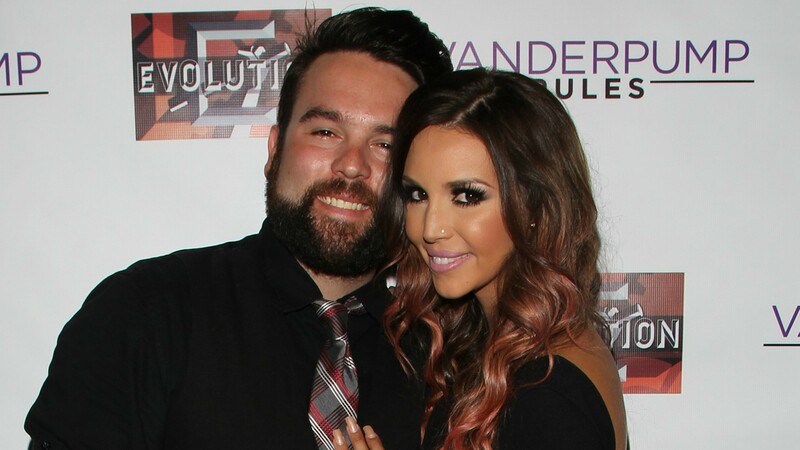 In the early episodes of Season 4, Scheana revealed that Shay had battled an addiction to painkillers that he was buying illegally. At one point, he disappeared to his parents’ home and didn’t speak to his wife for about a week. Scheana and the rest of the Vanderpump Rules cast held a sort of intervention when he returned home, where he revealed that he was so intimidated by Scheana, he struggled to stand up for himself and his needs in their marriage. During that season, Shay also struggled with a drinking problem before he and Scheana started couples therapy. New rumors say that Shay once again disappeared, but this time, he took money from his and Scheana’s joint account and went on a drug bender. He posted to Instagram this week to deny those rumors. We can’t help but wonder if there’s some degree of truth to the rumors that Scheana and Shay are struggling in their marriage considering the low points they’ve been through onscreen. But we’re still pulling for them, and from what they’re saying, they’re definitely working on it.